Department of Public Works and Highways (DPWH) Secretary Mark Villar along with local officials inspects the Anislag Bridge in Maribojoc during a quick visit to Bohol on Thursday. Department of Public Works and Highways (DPWH) Secretary Mark Villar on Thursday inspected the construction of the Anislag Bridge in Maribojoc, one of the slew of under-construction and -rehabilitation bridges in Bohol, a week after President Rodrigo Duterte himself ordered the evaluation of allegedly slow-paced road infrastructure projects in the province which have repeatedly drawn flak from the public and even local government officials. Villar, after his arrival at the Tagbilaran City Airport, immediately proceeded to the Anislag Bridge, to assess the progress of the construction and listen to concerns regarding other DPWH projects such as the various road reblocking along national highways, which have been deemed unnecessary by several provincial lawmakers. According to Villar, he will personally look into “questionable” projects in the province. “Kung mayroong mang mga project na questionable, definitely ako na mismo ang kakausap sa mga contractors,” said Villar. He also called on district engineers to coordinate with media in explaining the purpose and necessity of road projects, amid concerns over seemingly unnecessary road reblocking in the province which local DPWH officers failed to give details on. “Sasabihin ko rin sa mga district engineers na kailangan nilang makipag-coordinate sa media dahil kayo ang connection nila sa ating mga Boholanos, so definitely isumbong ninyo sa akin kung ayaw nilang i-explain regarding sa mga concerns ng public,” added Villar. For his part, DPWH 7 director Ador Canlas said that the Anislag bridge is set for completion on August 21, 2018 and the Palo Bridge on August 14, 2018. The DPWH is also aiming to complete the bridges in Dimiao, Hunan and Bateria on August 8, 2018. According to Canlas, contractor of the Clarin Bridge in Loay has started to move equipment and civil works for the construction of said bridge which is expected to be completed on October 17, 2019. 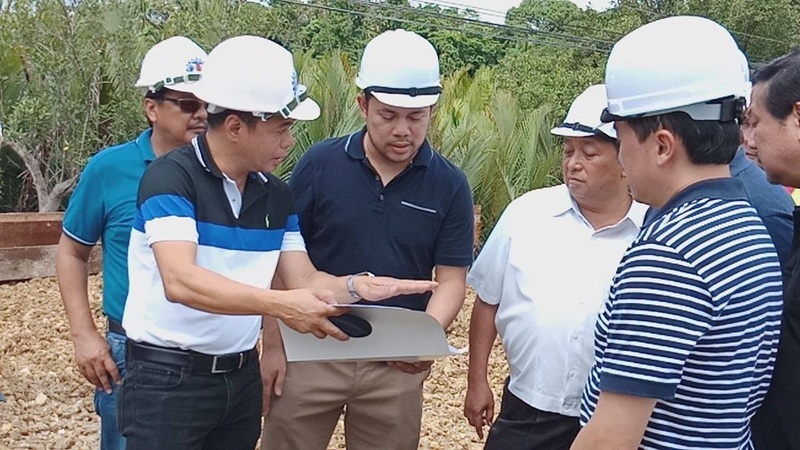 Meanwhile, rehabilitation of the Makapiko Bridge which connects Balilihan and Butuan continued after a rebidding was conducted and will be completed on the second week of October, said Canlas. In June, the Sangguniang Panlalawigan called on the province’s three district engineers to explain the controversial road reblocking after failing to inform the SP on the projects. Board Member Tomas Abapo, Jr. called some of the road reblocking projects “stupid” saying that the rehabilitation was being implemented on good and usable roads. “We are not engineers but we can see very well that they reblock portions that are still sturdy, serviceable for another 10 to 15 years and yet they still destroyed so that they can be replaced by pavements for another 10 to 15 years. This is stupid,” said Abapo.